Trevor Holt practices civil litigation, focusing primarily on real estate and construction matters. His experience in civil litigation includes case evaluation, pleadings, legal research and analysis, discovery, and alternative dispute resolution. Trevor represents clients on various issues, including breach of contract and specific performance claims, non-disclosure cases, landlord-tenant and neighbor disputes, quiet title actions, commercial litigation, and construction disputes involving public and private works.  Prior to joining Ventura Hersey, Trevor worked as a litigation associate for a boutique law firm in San Jose, California focusing primarily on trust & estate litigation and business litigation. Trevor graduated from Santa Clara University School of Law in 2016 and received a bachelors degree in Political Science with a minor in History from University of California, Santa Barbara in 2012. Trevor is active in the South Bay real estate community and volunteers at Santa Clara County Association of Realtor (SCCAOR) events. During law school, Trevor was a judicial extern for the Honorable Delbert C. Gee of the California Superior Court, County of Alameda and clerked for a boutique law firm in San Jose for two years.